Whether you need an approved supplier for self-service cloud computing, or you need help to define, develop, implement and manage your cloud computing environment, ITS can help you get the computing power you need. This service is available to UCSC faculty and staff, and to students with a faculty/staff sponsor, for work related to university business. ITS also offers cloud computing, using servers hosted in the UCSC Data Center, through the Nebula service. Not sure which hosting option is right for you? Here's a comparison chart. You have access to account management and solution architects -- AWS staff who can assist with how to use AWS, and provide technical guidance on best practices. Your vendor relationship falls under the University of California Terms & Conditions. This ensures that your agreement conforms to the UC Regents’ policies for procurement and business contracts, and reduces the financial risk to your department or division for agreements that are outside of Regental standing orders (especially with respect to third-party liability). Self Service Cloud Computing - You can engage with the cloud service provider yourself. Managed Cloud Services - ITS can help setup and manage your cloud services. If you are working with sensitive data, you are responsible for understanding the security requirements of your data --- public cloud computing may not be right for you. 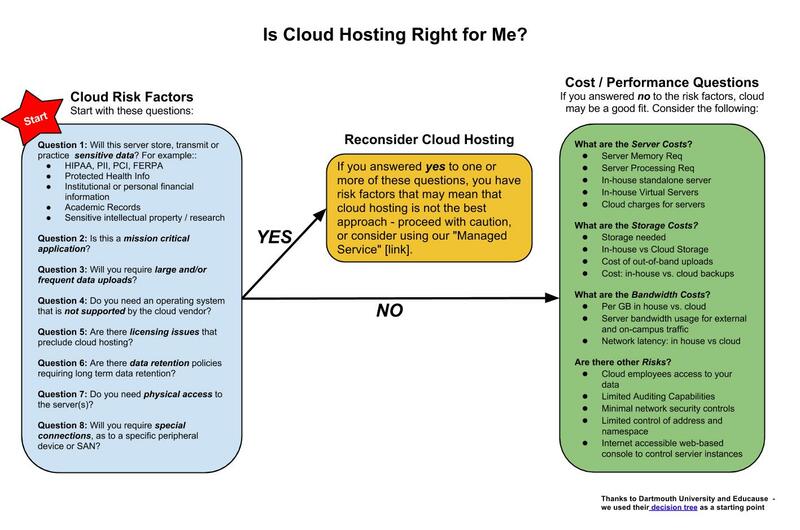 Before you begin, please review the Decision Tree and Cloud Metrics diagram. 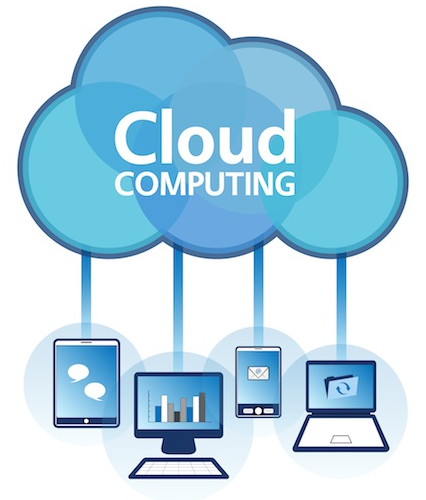 If you are ready to manage your own services in the cloud, select Self-Service Cloud Computing. If you would like ITS to help you design, develop, implement and manage your cloud services, select Managed Cloud Services.